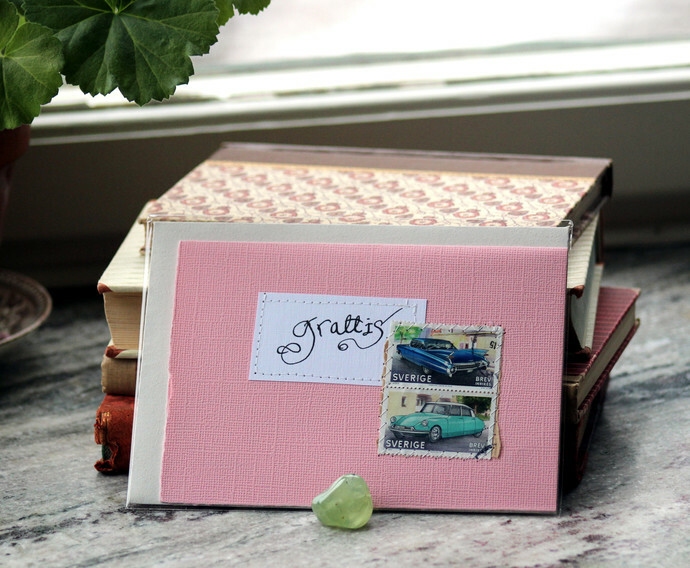 Blank greeting card in pale pink with sewn on text and Swedish postal stamp with old cars. [Gratulationskort med texten 'grattis!' utanpå, ingen text inuti. I write with dip pen and ink, scan, print it out and then (after some cutting) I sew it on. I fold and cut/tear all the cards myself too. Acid free and lignin free linen embossed paper, and textured cardstock. Handmade envelope (made out of wallpaper) included!